Tuygan Teoman is Managing Director at Buttonwood Network. Prior to Buttonwood, he was a Senior Vice President at Opes Group, a boutique investment bank, responsible for deal origination and execution with an emphasis on early/late stage as well as growth equity companies. After business school, he worked at JP Morgan Alternative Asset Management focusing on hedge fund investments. He later joined Centerboard Group, where he raised $150M from KKR to found Accelerated Oil Technologies (“AOT”), an independent oil company seeking to implement Chemical Enhanced Oil Recovery (“CEOR”) techniques on mature, heavy oil fields. Subsequently, he was responsible for business development & acquisitions at AOT. Tuygan received his MBA degree from NYU and his B.S. degree from Bogazici University in Turkey. He is also a CFA and CAIA charter holder. Tuygan is Registered Representative of and Securities Products are offered through BA Securities, LLC. 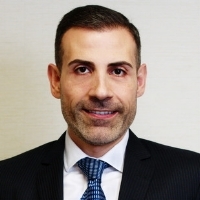 Amir Sadoughi is the Chief Technology Officer of Buttonwood Network. As a software engineer and technical leader, his career spans multiple industries, including machine learning (Amazon Web Services), cloud computing (Rackspace), and high frequency trading (RGM Advisors). Amir holds a Bachelors of Science in Electrical Engineering and Computer Science from the University of California, Berkeley.